Artist Statement: The Negev, southern Israel’s rocky, sandy desert, is a barren region. This lonely tree reminds us how much work it takes to turn a desert green. Although the Negev is home to the Dead Sea, parts of the Negev have been converted into a lively metropolis. In deference to the majestic rolling hills in the Negev, I quilted The Lonely Tree. 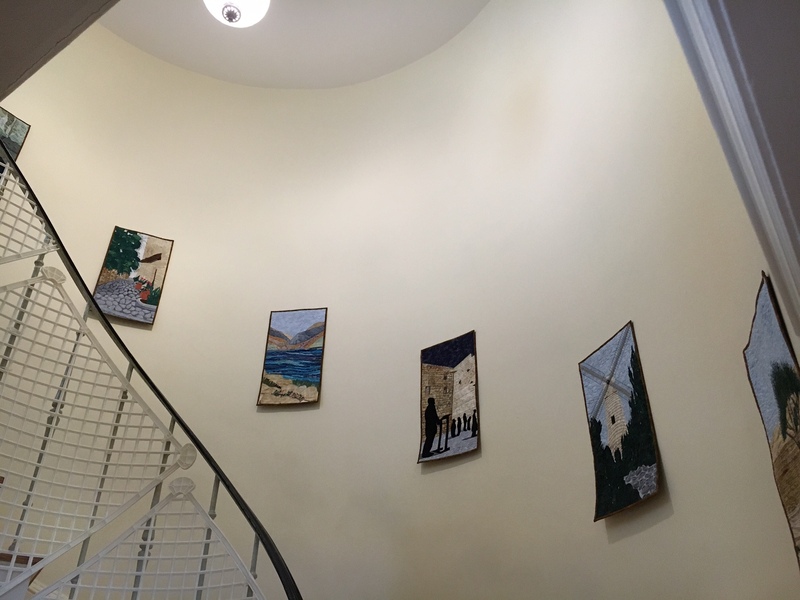 This quilted wall art landscape was done previously as part of a set of six for someone who hung the quilts along her spiral staircase! It is available separately or in a set and can be customized in size. The other pieces from the set shown below are available as well.